The Women of Words collective. Photo: Katy Beech. Women of Words are three years young! In 2016, realising the importance of women having spaces where they can find their own voices through creativity and the sharing of stories and ideas, the Hull-based collective of writers responded by creating a monthly spoken-word event series that was inclusive and supportive. Women of Words believe that sharing words is one of the most powerful ways to do this and have been inviting audiences on the first Wednesday every month to Kardomah 94 for the past 3 years. Between them they organise and run each event, booking top flight spoken word guests, celebrating and supporting emerging and existing talent, sharing their own work and creating that all-important space for the many open mic performers. “Women of Words has been like a warm blanket that wraps itself around me giving succour in what sometimes seems such a cruel world. The confidence it has inspired in me has grown with every WOW session and has brought me closer to my fellow female writers. Sharing helps immensely,” says painter and textile artist Julia Roach. Without funding Women of Words have welcomed over a 50 guest artists from across the north, and invited the same number of local guests to share their voices alongside. The collective have enabled over a hundred open mic performers, some who were completely new to writing and performance, and hosted shows at Heads Up and Big Malarkey Festival. In 2017 the six original collective members wrote and performed a new spoken word show called Queens of the North with Dr. Kate Fox, and in 2018 worked with Louise Wallwein MBE on Home Town Story, both for BBC Contains Strong Language Festival. On April 3rd WoW invite everyone to their home at Kardomah 94 from 2 – 4pm for two special guests: from Halifax Geneviève L. Walsh (Spoken Weird plus sister night Spoken Queered) and from Hull Hester Ullyart (The Ballad of Paragon Station and the forthcoming Paragon Dreams at Hull Truck) You can share your words too with the often surprising, always inspiring open mic for newbies and regulars: on or off the sheet. 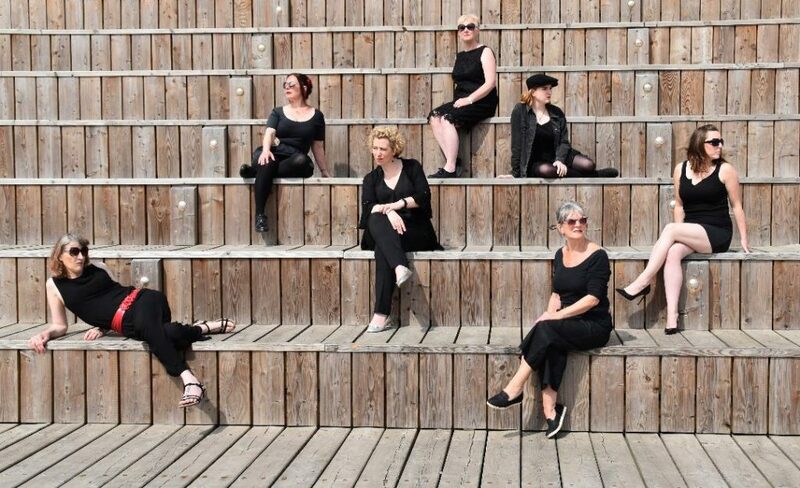 “Join us to celebrate three years of nurturing and developing a platform for women’s voices in Hull,” say WoW Collective. Inspired by a workshop series and mentorship with Kirsten Luckins (Apples and Snakes North) and the support of First Story and National Writing Day (WoW is an NWD partner organisation) the collective have introduced live writing exercises into their monthly format. Hosted by Cassandra Parkin, these sessions have been quickly embraced by the audience, encouraging more opportunity for spontaneity, creativity and sharing. The current WoW collective is Cassandra Parkin author, Emily Oetegenn disability rights activist, Jodie Langford performance poet, Louise Beech author, Lynda Harrison actor/playwright and Michelle Dee writer/performer. Collectively they would like to acknowledge the generous support of Malcolm Scott, Matt Lund and all the catering staff of Kardomah 94, and to say a big thank you to audiences and guests, past and present. Finally a debt of gratitude to friends and former collective members Julie Corbett and Women of Words Founder Vicky Foster. Be the first to comment on "WoW Collective Celebrate Three Years Nurturing Women’s Voices"